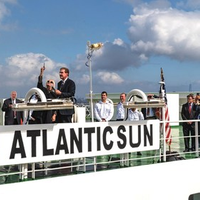 Atlantic Container Line (ACL) held a christening ceremony for its new G4 vessel, the Atlantic Sun, on Wednesday, at FAPS Port Newark Auto Marine Terminal at the Port of New York & New Jersey. 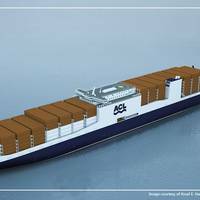 The ACL G4 vessels are the first of their kind and the largest multipurpose RoRo/Containerships ever built. 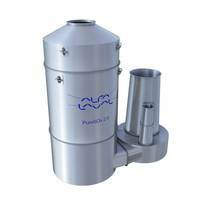 They incorporate an innovative design that increases capacity without significantly changing the dimensions of the vessel. The G4s are bigger, greener and more efficient than their predecessors. 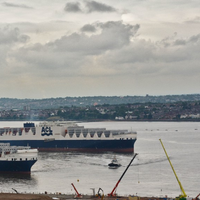 Atlantic Container Line (ACL) took delivery of Atlantic Sail last week, the second of five new conro (container and roll-on/roll-off) - new G4 generation vessels - ships the company is building as part of its fleet renewal process. The Atlantic Sail will sail from China early in the week of April 4th and will take its place in the company’s transatlantic schedule in early May. The remaining three G4 vessels will all be delivered during this year. 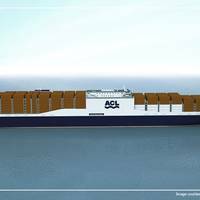 The ACL G4 vessels are the first of their kind and the largest multipurpose RORO/Containerships ever built. The Port of Virginia marks an important milestone Monday 14th September as Portsmouth Marine Terminal (PMT), closed for nearly three years, reopens to cargo operations. At 8 a.m. on Monday, the terminal will begin receiving trucks carrying containers for export. “Sustained growth in our container business necessitates PMT’s return to service and is a sign of health for The Port of Virginia,” said John F. Reinhart, CEO and executive director of the Virginia Port Authority (VPA). 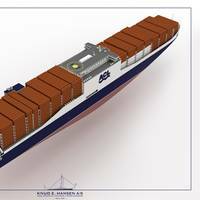 Atlantic Container Line (ACL) confirm that their five new roll-on roll-off containerships (CONROs) will be built to UK standards. The five new vessels are being built at the Hudong-Zhonghua Shipbuilding (Group) Co. Ltd in Shanghai China. They are the first of their type ever built with a container capacity of 3800 TEUs plus 28,900 square metres of Ro-Ro space and a car capacity of 1,307 vehicles. All five vessels will be delivered in 2015 and will replace the companys existing transatlantic fleet of five vessels. Following the announcement that the UK flag will be used as the design flag Debasis Mazumdar, Head of the UK Ship Register said: "
I am delighted that ACL have recognised the advantages of building these ships to UK standards and have chosen the UK Flag as the design flag. Atlantic Container Line (ACL) contracts Hudong-Zhonghua Shipbuilding to build world's largest largest RORO/Containerships (CONRO's). The G4 (Generation 4) vessels will replace ACL's existing fleet of G3 CONROs operating in the company's transatlantic service. All five vessels will be delivered in 2015. The new vessels will be the first of their type ever built. They will be bigger, faster, greener and more efficient than their predecessors. The G4's will have a container capacity of 3800 TEUs plus 28,900 square meters of RORO space, with a car capacity of 1307 vehicles. Hamburg has one of the most comprehensive liner networks in Europe, which in turn means that it plays an important role as a transport hub for global cargo flows. Specialized liner traffic connects Hamburg to six continents. Over 100 container liner services travelling to destinations all over the world are based in Hamburg. One of the main markets for the Port of Hamburg are liner services from and to the Far East. In 2008 an average of 30 weekly full container services called at the Port of Hamburg. 19 new liner services were established in 2008. Eight of them sail on shipping routes to the Far East; three to India and the Middle East; two to South America and one each on routes in the regions North America, Australia / Oceania, Africa, the Mediterranean and the North and Baltic Seas. 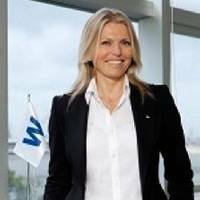 The Grimaldi Group ordered five Ro-Ro Multipurpose Car Carriers for its Atlantic Services. The order was placed with Hyundai Mipo Dockyard of Ulsan, South Korea, and its value is at around $430 million. The first ship is scheduled to enter service in spring 2010, with the others following at a few months interval one from each other, between 2010 and 2011. They are almost identical sisters of another 5 ships contracted with Uljanik Yard of Croatia, which are slated for delivery in 2008 and 2009. In line with the Grimaldi Group strategy, these new ships will be highly flexible in terms of cargo mix. At 25,000-dwt and with a service speed of 21 knots, each of the new vessels will be able to take on board up to 2,000 linear metres of Ro/Ro cargo, 2,000 cars and up to 800 TEU of containers. Grimaldi Group Naples, has become ShipServ's 53rd member. 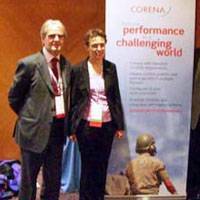 They are also its first Italian shipping company client. 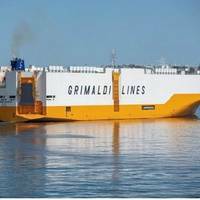 Grimaldi Group Naples, which includes Grimaldi Compagnia di Navigazione, Atlantica di Navigazione, INARME, Malta Motorways of the Sea and Atlantic Container Line, has 47 vessels with another 12 on order. The Group is known for its purchasing organization and procedures, which has enabled it to achieve substantial efficiencies over the years. Grimaldi is a long time user of SpecTec AMOS Maintenance & Purchase system and it is the first SpecTec client to become a member of ShipServ TradeNet since SpecTec and ShipServ announced their new partnership in March.